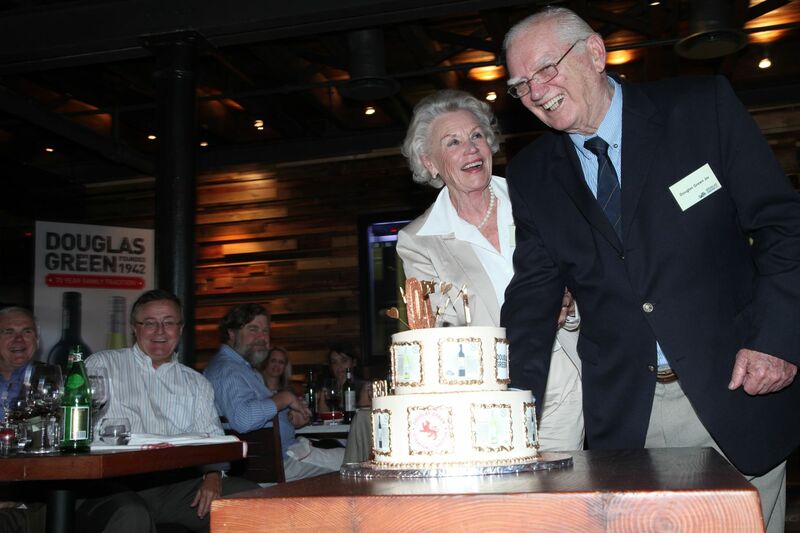 While many think of Douglas Green as a wine company, few are aware that he was a real person. I know, as I have known two of his children! Douglas Green, had a head for the wine business and a heart for the vineyards of the Cape and his start in life was a humble one. He was a true Negotiant in the classical French style, producing original wines in his signature style. 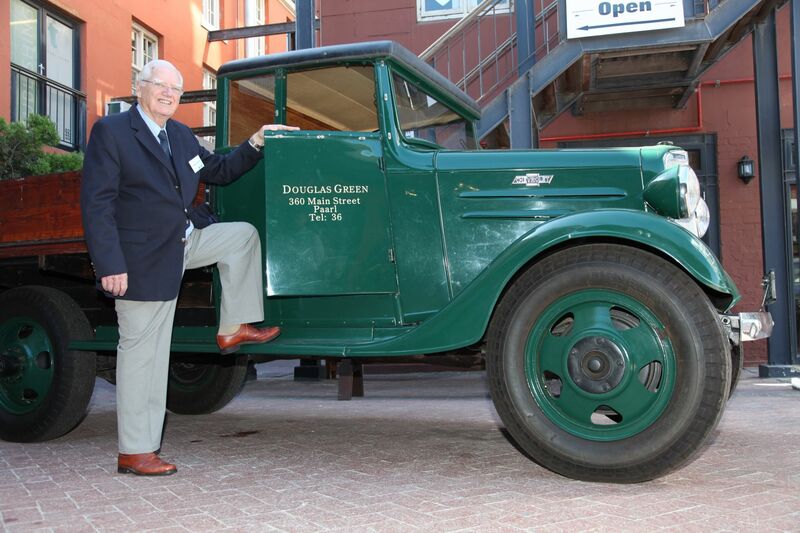 In 1942 , he bought Forrer Brothers at 360 Main Road, Paarl & renamed it Douglas Green & Company, a place which became a legend in the town and later known as Douglas Green of Paarl. He knew the winelands, he knew where he could source quality grapes, he knew the winemakers, so he knew where to find quality wines. Before long he was bottling his eponymous wines earning for himself a reputation for offering wines of great quality at even-handed prices to customers whose tastes he understood. In terms of the Douglas Green winemaking philosophy nothing has changed and today, and Douglas Green Jr is still involved making sure that his father’s legacy lives on. The finest fruit is still sourced from the best origins to deliver character and quality loyal to variety. After years of experience and close relationships forged over many vintages, Douglas Green’s resident viticulturists ensure that the finest grapes are delivered by growers by now virtually ‘part of the family’ to appointed cellars. Here Oenologist, Jaco Potgieter and his team control every aspect from the moment the grapes arrive in the cellars, through fermentation and maturation to the final blending and bottling at the Douglas Green Cellars in Wellington and Jaco is committed to delivering honest wines of a quality that far exceeds their modest price. In the early days of the Company, Douglas Green of Paarl, Douglas Green had the courage to break from the conventional ways of winemaking and to follow his instincts in search of the perfect grapes always personally selected for character and style true to the variety. And today, the blueprint laid down all those years ago for the 3 white, a Rosé and four red Douglas Green varietal wines still celebrates a journey of inspired exploration across the Cape winelands. These are benchmark wines, wines which are true to the variety and look and smell and taste like the finest wine made from the grape whose name is inscribed on the label. The whites are a Sauvignon Blanc, a Chardonnay, a Chenin Blanc and the Pinotage Rosé. The reds, a Cabernet Sauvignon, a Shiraz, a Pinotage and a Merlot. In terms of blending, Douglas Green knew that making great wine is a combination of good quality fruit, hands-on skill and the instincts of the winemaker. The Douglas Green blends perfectly balance the natural affinity between grape varieties blended for broad appeal with effortless accessibility for easy drinking. The whole in each case being greater than the sum of its parts. And some unusual blends they are too. There’s a Chenin Blanc Sauvignon Blanc and a Merlot Malbec. The Douglas Green range of Sherries and Ports are real benchmarks of their genre. I have always been a huge fan of these sherries, made by some of the finest sherry makers in the world, let alone South Africa. 70 years later, Douglas Green’s personal touch is still tangible in the eponymous range of wines made with the same intuition that began a progressive and modern wine brand in 1942. Today this tradition has kept the wines at the forefront of modern styles enjoyed in South Africa and exported to more than 50 countries around the world. Douglas Green Wines are available in most supermarkets and bottle shops throughout the country. For more information about the Douglas Green Wines, do visit the website and read about the individual wines.